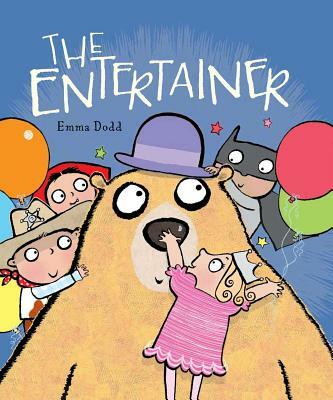 A hilarious new picture book about a bear and a little boy's birthday party from acclaimed author and illustrator, Emma Dodd. When an entertainer dressed as a big cuddly bear arrives at a little boy's birthday party, the children are delighted. He makes them hoot with laughter as he drinks water from the vase, goes wild on his skateboard, and bursts all the balloons. But for some reason, his costume won't come off... Acclaimed author and illustrator Emma Dodd has crafted a hilarious new story for young readers.